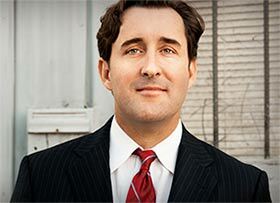 Attorney Mathew Higbee was quoted in a Wall Street Journal article entitled, “Fight Grows to Stop Expunged Criminal Records Living On in Background Checks,” which illustrates the often overlooked problem of background check companies and websites that continue to report arrests and criminal convictions after a court has granted an expungement. It is unfortunately a widespread concern, which many people may not realize until it has personally affected them. The article highlights the problem by telling the story of Helen Stokes, a 63 year old woman from Pennsylvania, who had two arrests back in 2008 and 2010, neither of which resulted in a conviction and were expunged last year. Ms. Stokes recently filed a federal lawsuit against RealPage Inc., after being rejected by two senior living centers. The lawsuit alleges that the housing communities received background check reports containing her expunged arrests and denied her application as a result. Attorney Higbee and the team at Higbee & Associates know this problem all too well. The RecordGone.com division has helped expunge over 13,000 cases for our clients since 2006. While obtaining that relief from the court is a hugely beneficial, necessary first step, we would be remiss not to inform our clients that private companies may still report the case unless additional steps are taken. RecordGone.com offers additional services to help our clients ensure these steps are taken. While the background check companies claim to receive only a small fraction of disputes each year, Ms. Stokes is unfortunately not alone. Likewise, RealPage Inc. is not the first or only background check company to come under fire for violating the laws requiring these companies report accurate information. It is often a matter of timing, as Mr. Higbee was quoted as stating in the article. These companies only infrequently pull updated information from the local court and law enforcement agencies. Therefore even once the state, county and local agencies have properly expunged the records, these companies may not discover that for a year or until they purchase a new batch of information. According to the WSJ article, the Federal Trade Commission (FTC) has brought eight cases against background screening companies since 2009 for failing to comply with the Fair Credit Reporting Act (FCRA). Private plaintiffs, much like Ms. Stokes, have also filed lawsuits seeking damages for these violations. The cases, some involving well known companies such as HireRight, LexisNexis Risk Solutions, Intellicorp and Sterling Infosystems, often result in million dollar settlements with the companies admitting to no wrongdoing. Mr. Higbee and the criminal record expungement division of Higbee & Associates, RecordGone.com, provide expungement and record sealing services in 17 states. Additionally, they provide services nationwide to combat the problem set out in this Wall Street Journal article. RecordGone.com provides a service to remove or update your expunged criminal record from background check companies and a service that removes your personal information from popular online databases. To learn more about these services, please visit RecordGone.com. The article can be read at http://www.wsj.com/articles/fight-grows-to-stop-expunged-criminal-records-living-on-in-background-checks-1430991002 and will appear in the May 8, 2015 print edition of the Wall Street Journal. Thank you for the information about what is happening to people. I appreciate your work in this regard. I need to work and to try and stop people from working when they know they’re locking everyone up. It’s like they’re trying to destroy so many people’s lives.